In a rare falter for the UBC baseball team, their weekend-long road trip down to Idaho didn’t go nearly as well as their previous outings. The team who sat in first in the Cascade Collegiate Conference (CCC) going into the weekend dropped three games against Lewis-Clarke State — though it made no difference to their conference standings. In their two outings on Friday, the ’Birds hit the wall at three runs in each game: losing 3-4 and 3-7 respectively. In their first game, a huge comeback from the home side stunned the T-Birds, who went into the eighth inning ahead 3-0. In their second match up, a 2-0 deficit after the first inning proved too big of a task to surmount for UBC. 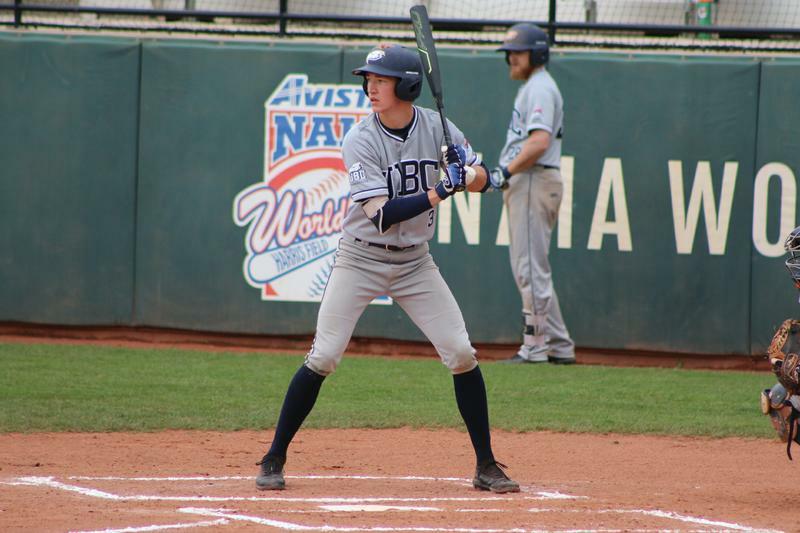 Though second year left fielder Jaxon Valcke, first-year shortstop Mike Fitzsimmons and first-year second baseman Liam Vulcano all scored for the ’Birds, their work would be outdone by a trio of runs from both Lewis Clarke’s shortstop A.J. Davis and designated hitter Darren Trainor. On Saturday, UBC rounded out their trio of losses with a 5-6 defeat. Sunday would be the teams small glimmer of excitement from the road trip, as they finally claimed their lone win of the series 6-5, though it took 11 innings to get there. Runs from Fitzsimmons, Lichel Hirakawa-Kao, Valcke, Brandon Hupe, Ty Penner and Nolan Weger got them there, with Penner putting in the game-winning home-run in the top of the 11th. The softball team had an equally frustrating weekend against Southern Oregon on the road, as they racked up four losses across their three CCC series games and their single game exhibition match against the Raiders: 1-13, 6-14, 3-7 and 4-12. In their opening match up, Oregon scored nine times in the first inning to basically seal the deal right out of the gate. Though UBC initially took the lead in their Friday afternoon rematch, they wouldn’t be able to hold off the Raiders who scored six runs in the fifth and sixth innings. Saturday was equally as challenging as they faced another two defeats, though their final match didn’t count in the CCC standings. The losses put UBC at an 8-10 record in the conference, good enough for fifth overall. Outside of the diamonds, UBC’s track and field team headed to Western Washington for the Western Washington Team Invitational. The women’s side had a particularly successful day, taking home the quad school championship title with 202 points and surging ahead of the host side who finished with 184.5. Highlights included an NAIA “A” standard time for Madelyn Brunt in the 3,000 metre steeplechase — she finished with a time of 11:03.08. On the men’s side, Cole Dinsdale finished first in the men’s 3,000 metre steeplechase with a time of 9:33.71. In the 5,000 metre, Enid Au finished in first with a time of 17:36.6, with teammate Maddy Rivelis following close behind. In the 100-metre, Katherine Lucas took first place as well with a time of 12.16. Madelyn Huston also claimed a first place finish for UBC in the 800 metre with a time of 2:16.44. In the field events, Rowan Hamilton and Sebastian Yep claimed gold and silver in the hammer throw; Hamilton threw 60.98 metres, while Yep threw 56.90 metres. In the high jump, Trinity Hansma finished in a first place tie with a height of 1.67 metres, punching her ticket to nationals as well. To top off their flurry of solid results across the border, UBC claimed wins in all four longer relays — the 4x400 metre and the 4x800 metre event in both men’s and women’s. The women’s team for the 4x800 metre also automatically qualified for nationals with their time of 9:17.7.